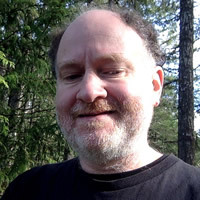 Tom Whipple is one of the most highly respected analysts of peak oil issues in the United States. 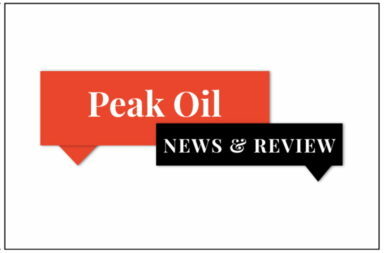 A retired 30-year CIA analyst who has been following the peak oil story since 1999, Tom is the editor of the daily Peak Oil News and the weekly Peak Oil Review, both published by the Association for the Study of Peak Oil-USA. He is also a weekly columnist on peak oil issues for the Falls Church News Press. Tom has degrees from Rice University and the London School of Economics. London’s oil prices broke through the $70 a barrel barrier last week to close at $70.34. New York futures were some $7 behind to close at $63. Prices have climbed steadily for the last three months closing on Friday above $60 a barrel in New York and $67 in London. The combination of slowing US shale oil drilling and the Venezuela, Iran, and the OPEC+ situations continue to outweigh the bad economic news that may someday lower demand. Prices climbed for the first three trading days last week on the perception that oil supplies were tightening due to the OPEC+ cuts, the US sanctions on Iran and Venezuela, and a 9.6-million-barrel decline in US crude stocks. The struggle between a weakening global economy and the shrinking availability of oil supplies seems to be tipping in favor of the latter as oil prices slowly make their way higher. The struggle between declining economic growth and falling oil supplies continued to affect oil prices last week. The failure of a significant portion of Venezuela’s electricity grid has already been a significant blow to the country’s roughly 1 million b/d of oil production, and the situation seems likely to get worse. The struggle between lower crude output and the prospects for a global economic setback that could reduce the demand for oil continued last week. Prices rose on bullish news early in the week and then fell to close only slightly higher for the week at $55.80 in New York and $65.07 in London. Brent crude futures briefly touched $67.73 a barrel on Friday, their 2019 high. The London contract then fell 5 cents to settle at $67.12 a barrel while US futures US gained 30 cents to settle at $57.26 per barrel, after hitting $57.81 earlier in the day.